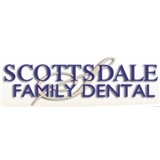 Scottsdale Family Dental (Scottsdale) - Book Appointment Online! Welcome to our dental practice! We look forward to helping you and your family achieve optimal dental health and a beautiful smile. To ensure that you receive the best dental care available, Scottsdale Family Dental is equipped with the latest dental technological advances in dentistry to ensure you receive the most effective and highest quality care. Our staff is committed to providing you with the highest quality reasonably priced dental care in a comfortable, relaxed, anxiety-free environment. It is our goal to provide patients with quality treatment that is also affordable. We also offer a variety of payment options to help you find a flexible way to pay for the treatment. As well as payment plans through the office, we offer Care Credit, Chase Health Financing and accept all major credit cards. We are preferred providers for most PPO insurances.